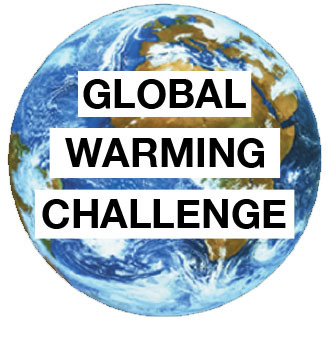 The Gore-Armstrong climate bet has now completed four-tenths of its ten-year race with Scott Armstrong in the lead. The latest graph and data are available to the right. Click on the graph to show a larger version of the graph with the data. You will see that we finished 2011 with average global temperatures for the year slightly lower than the bet benchmark year of 2007. While Professor Armstrong is confident that his no-change forecasting method is better than Gore and the IPCC’s +0.03C per annum unscientific extrapolation, ten years is short in climate terms, and Mr Gore is still in with a chance. To provide some perspective, climatologists sometimes use seven years as the duration of a climate period. Over the last seven years, the UAH global temperature anomaly series has trended upwards at a rate of 0.008C per year. The solar magnetic activity cycle has a period of about 11 year. Over the last 11 years, the temperature series has had a trend of +0.019C per year. The former trend is much closer to Prof Armstrong’s no-change forecast than it is to Mr Gore’s extrapolation, but the latter is somewhat closer to Mr Gore’s extrapolation. The trend for the entire 33 year period of the UAH temperature series, at +0.0138C per annum, marginally favors Prof Armstrong’s forecasting method and suggests that there is no reason for alarm. Theclimatebet.com will continue to report monthly results on The Climate Bet, assuming that Mr. Gore took the bet. Professor Armstrong maintains that changes in temperature are natural variations that occur over time. He expects the scientific approach to forecasting will win in the long-run, though he realizes the 10 years of the bet may not be long enough. When he proposed the bet, simulations of temperature changes over the previous 157 years indicated that his chances of winning would be somewhat greater than 62%. An article by Kesten Green, Scott Armstrong, and Willie Soon in the International Journal of Forecasting explains the reasons behind Professor Armstrong’s choice of the no-change model for forecasting global average temperatures. It is available here.